“He was the greatest interpreter of Islam in modern times," Quaid-i-Azam said about Iqbal on March 3, 1941. I am now beginning to realize how profound was his understanding of Iqbal. In the ‘Quaid-i-Azam Corner’ of the Republic of Rumi, I have added eleven statements of Quaid about Iqbal. In one of these, he says, "DARE AND LIVE is Iqbal's message." What a wonderful motto coming from the founder of the nation on the authority of Iqbal himself! 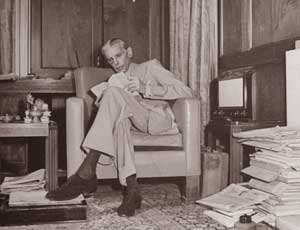 Also included there is the foreword written by him to Letters of Iqbal to Jinnah (1943). It is a must-read for anyone desiring to understand the thought-processes that went into the making of Pakistan.